Another magnificent game in which you must try dresses to Barbie with another type of clothing that you are not used to see. Barbie needs you to try all the dresses in her closet and she wants to keep the one that fits her best. Test different dresses and leave the one you like the most as Barbie looks. If you prefer you can play it in the APP or on any device with an Internet connection. Have a good time choosing the best outfit so that everyone has to look at how beautiful Barbie looks. 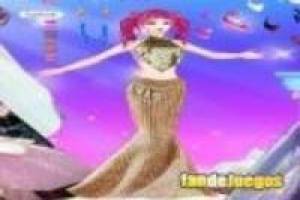 Enjoy the game Fashionable Barbie, it's free, it's one of our barbie games we've selected.